THE SYMBOLS FOR THE SACRAMENTS OF BAPTISM, COMMUNION AND CONFIRMATION ARE BEAUTIFULLY FEATURED ON THIS RCIA CANDLE. 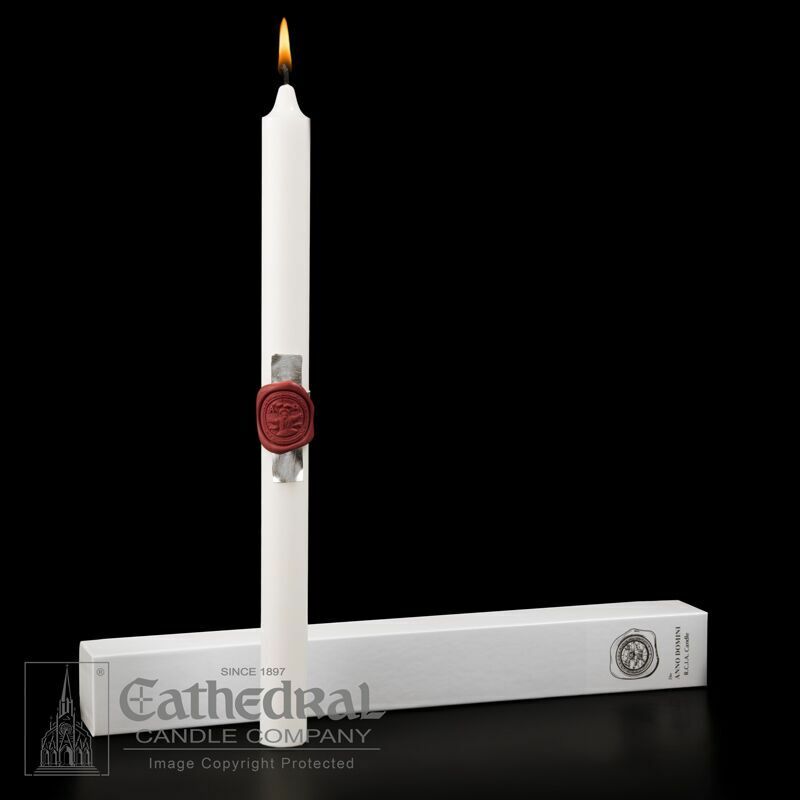 EXCLUSIVE SCULPTWAX DESIGNS ARE EXECUTED ON A CANDLE PROPORTIONED FOR THE ADULT CATECHUMEN. 1-1/4" x 17". IDIVIDUALLY BOXED.